The Malyshev emerald-beryllium deposit is the largest emerald deposit in Europe. 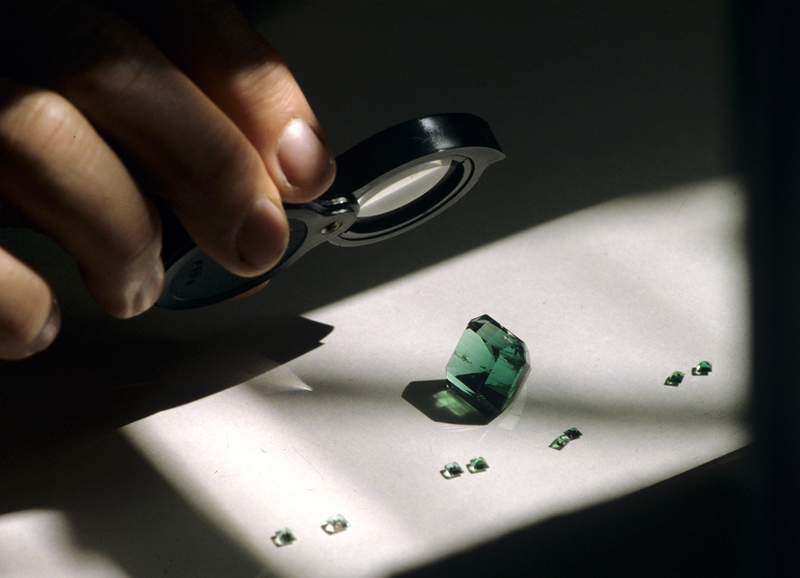 The richest emerald field in the Urals was discovered in 1831. The Kaliningrad amber factory will sell emeralds at an auction of the St. Petersburg Exchange on Feb. 20, head of the factory’s division Evgeny Vasilevsky told TASS. This will be the first time in Russia when emeralds are sold via the Exchange, he said. "On Feb. 20, an auction will be held at the Saint Petersburg Stock Exchange for the right to close contracts for sale and purchase of emeralds. The auction to sell these minerals produced by a division of the Kaliningrad Amber Factory, located in the Malyshev settlement of the Sverdlovsk region, will be held on the stock exchange for the first time in Russia," Vasilevsky said. According to him, at the auction natural emeralds with the total weight of 2 kilograms 261 grams will be traded. These are minerals of three types, different in color and size, are represented as one lot. The starting price of the lot is 3.3 million rubles ($55,064). The bid increment is set at 5 percent of the price of the lot - almost 163,000 rubles ($2,720). "The purpose of the auction on the St. Petersburg stock exchange, which is one of the oldest Russian sites, is to ensure maximum transparency of transactions," Vasilevsky said. He added that the auction participants are entrepreneurs who are registered on the territory of Russia as well in a special register, confirming their right to purchase gems. The Malyshev division of the Kaliningrad Amber Plant (located in the Malyshev settlement in the Sverdlovsk region in the Urals) is the only enterprise in Russia for commercial production of emeralds and beryl. The Malyshev emerald-beryllium deposit is the largest emerald deposit in Europe, one of three largest in the world and the only one in Russia. The richest emerald field in the Urals was discovered in 1831. Ural emeralds are highly valued on the global market of precious stones, as they have the unique yellowish tinge, which is not typical of this mineral, and are known under the Malyshevsky emeralds brand name. The Kaliningrad region (Russia’s Western enclave on the Baltic Sea) accounts for about 90 percent of world reserves of amber. The Kaliningrad Amber Plant is the only official producer of ambers in the region. The factory was founded in 1947. In 2016, the factory signed a cooperation agreement on sales of raw amber with the St Petersburg Exchange.